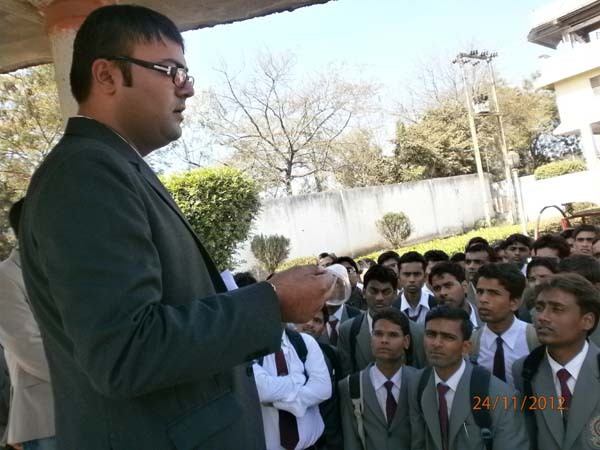 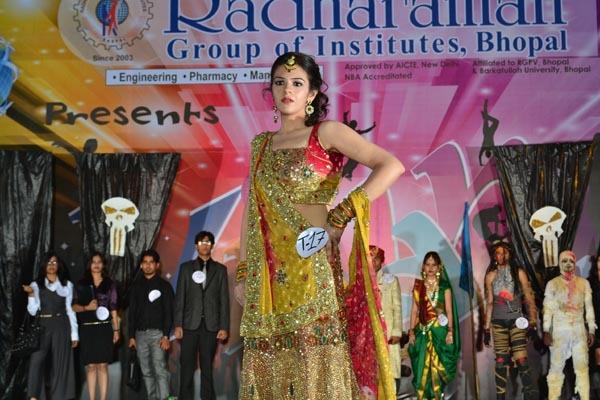 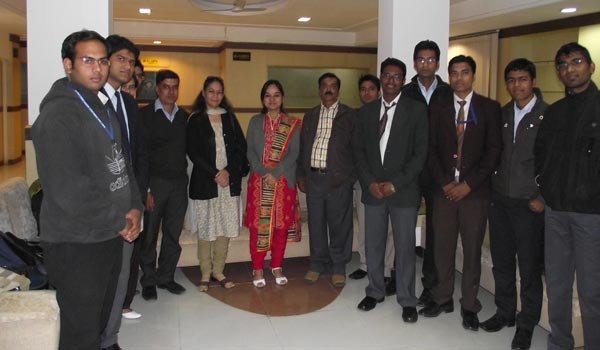 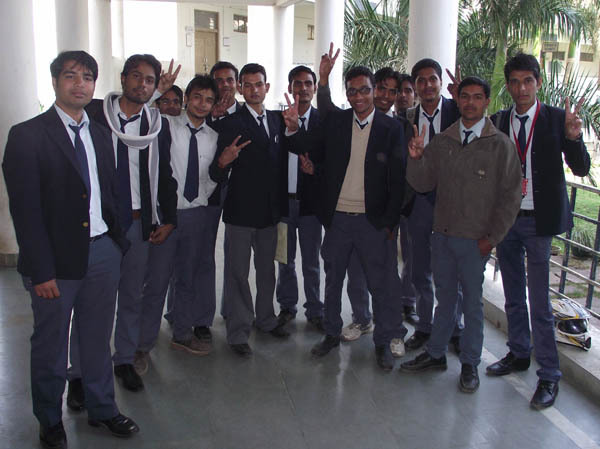 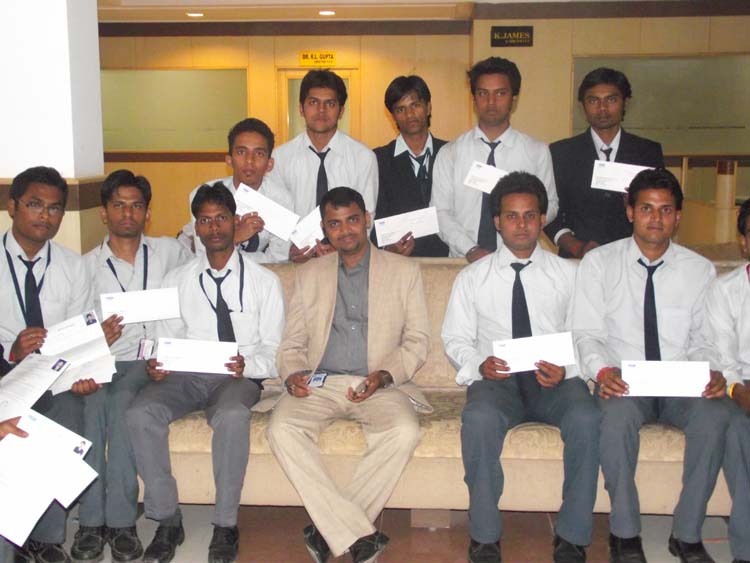 45 Students of Radharaman Group of Institutes Shortlisted in GMC Campus. 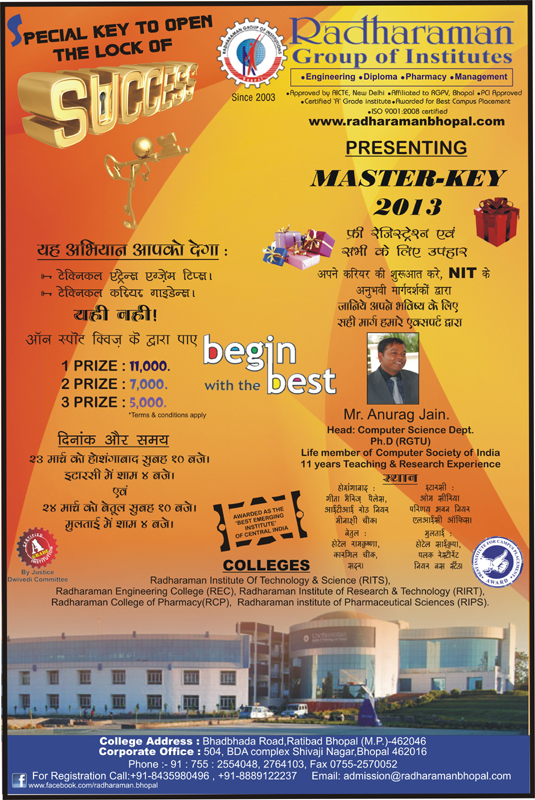 Special Key to open the Lock of Success. 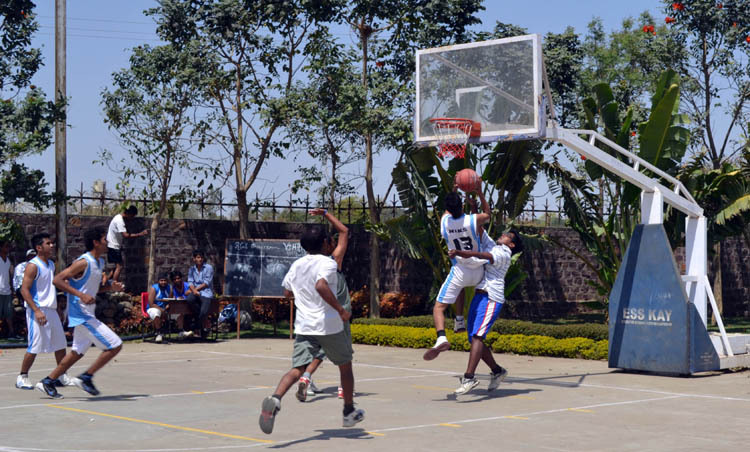 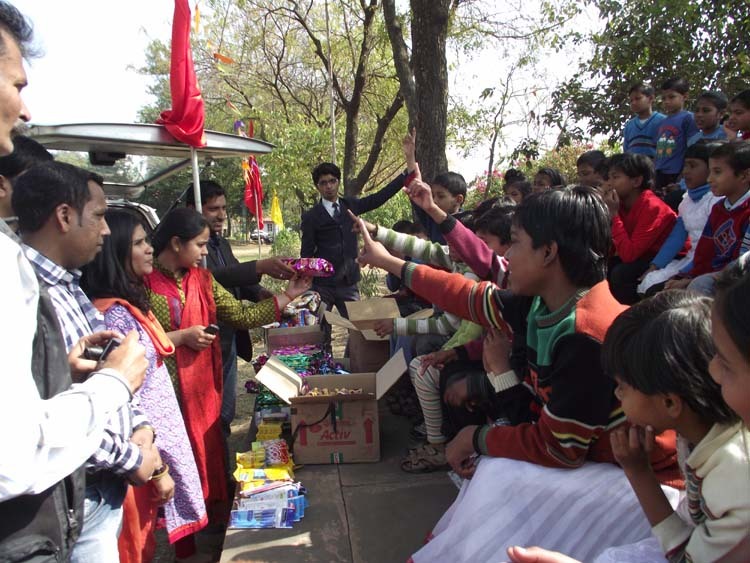 Goodricke Group Ltd organised the Umeed ka Pyaala canter activity in Radharaman campus on 21st Feb 2013.In this activity Goodricke provided a cup of tea @Rs.1 each to all the Faculty & students of the campus.The amount collected from this activity would be donated for the development of people with mental & developmental disabilities. 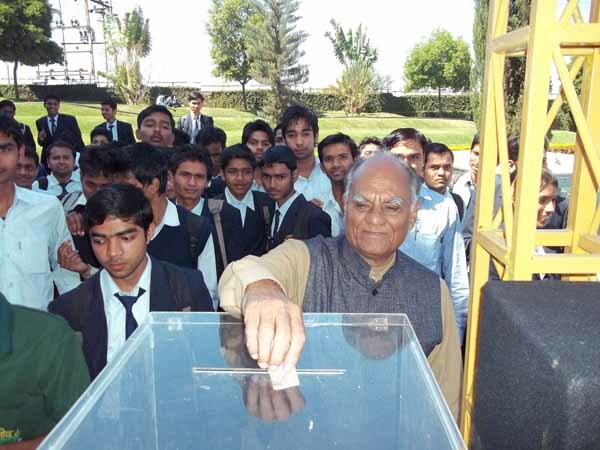 Umeed ka Pyaala activity was supported by the faculty & students of the campus wholeheartedly.The activity was started by Mr. RR Saxena Chairman of Radharaman group by putting his donation in the drop box & drinking a cup of tea at the canter. 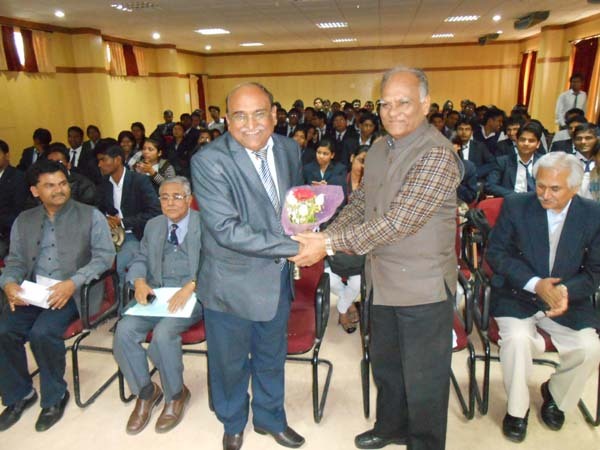 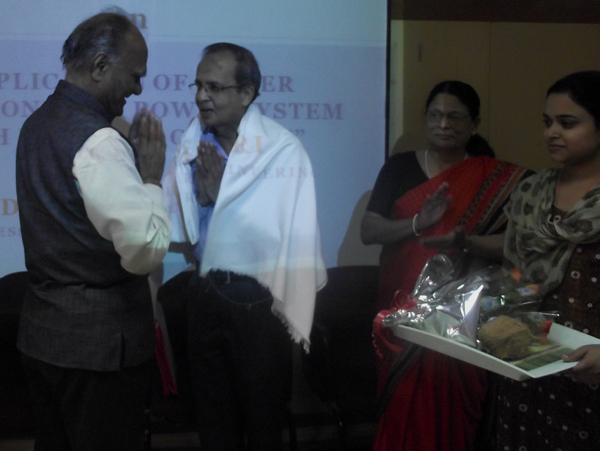 Seminar on Power Electronics in Radharaman Group of Institution. 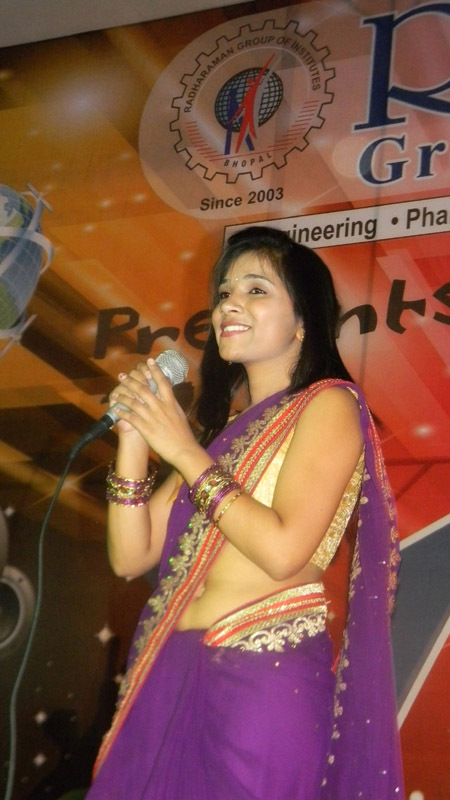 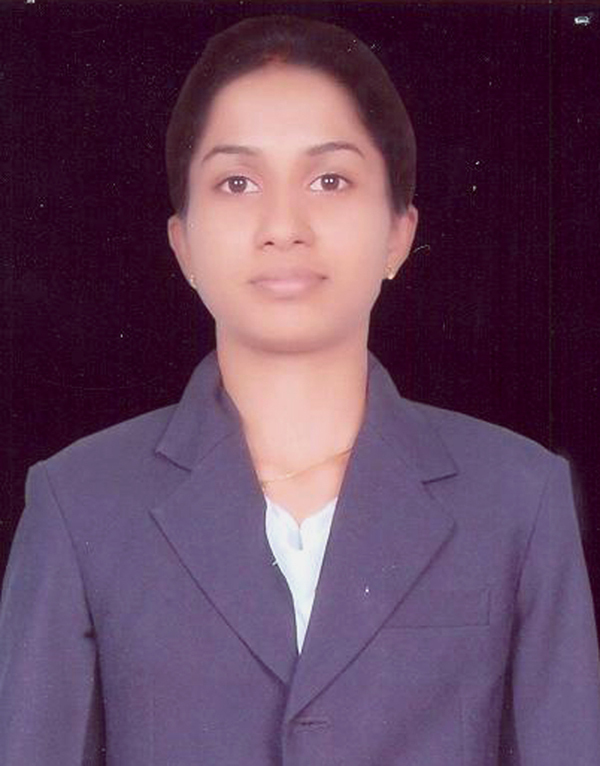 Radharaman Student Selected in Persistent Placement. 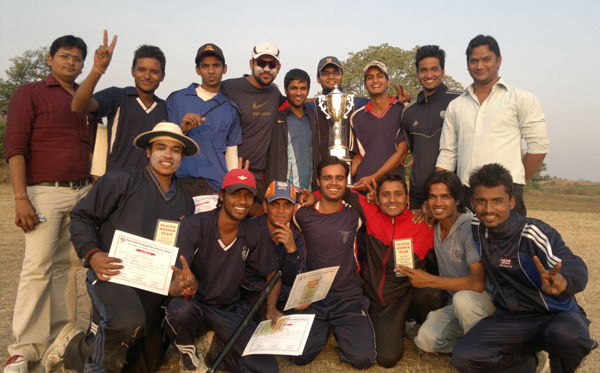 Bhopal win in the State Level Cricket Tournament.